Dear national refrigeration we are glad full to you that you have provide us such kind of cold storage we are extremely happy with your product along with your service . Thanks you national refrigeration for providing such kind of service and your product of cold storage. 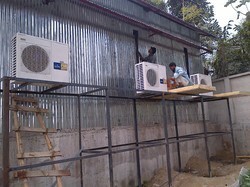 We are happy with your service along with your product for cold storage.